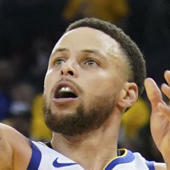 Craig is questionable for Thursday's contest against the Mavericks due to a sprained left shoulder, T.J. McBride of MileHighSports.com reports. Craig suffered the injury during the final minute of Tuesday's 133-107 victory over the Timberwolves. If he ends up missing Thursday's contest, Malik Beasley, Will Barton and Juancho Hernangomez are candidates to see extra run.